A Night in the Show was Charlie Chaplin's 12th film for Essanay. It was made at Majestic Studio in Los Angeles the fall of 1915. 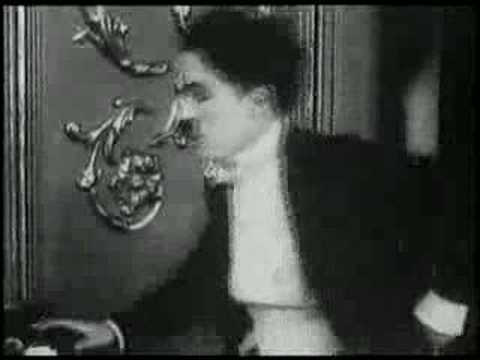 Chaplin played two roles: one as Mr. Pest and one as Mr. Rowdy. The film was created from Chaplin's stage work from a play called Mumming Birds (aka A Night at an English Music Hall in the USA) with the Karno Company from London. Chaplin performed this play during his U.S. tours with Fred Karno company and decided to bring some of this play to his film work. Edna Purviance played a minor role as a lady in the audience.